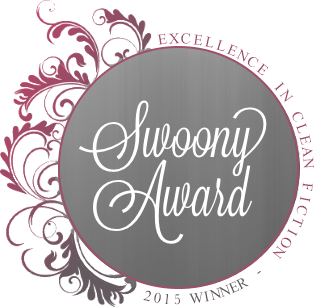 I won two Swoony Awards! I've never actually won a writing competition before. I've finaled a few times, but never won. I also don't make a big attempt to enter stuff - I just sort of write and do my own thing, and if it happens, it happens. Which makes it very cool when it does happen because it's so completely unexpected. It was super hard narrowing down my number one pick this year. I guess that's a good problem to have. I ended up choosing Royal Date, because I just really loved this book. The writing and characters grabbed me, I loved the setting and just everything about it. It's one of those books where you get a reader's high, you get sucked in and don't want the story to end. I read Sariah's YA novel awhile ago and when I heard she had a new book coming out I couldn't wait to read it. I am so happy she has more great books like this in store for us. Thank you Swoonys! I'm always happy to be nominated, and it's a total shock to have won! I got all excited because somebody had finally left a comment! And it's my husband.